Better Late Than Never: Four Legendary Geezers and a Comedian Invade Asia! There are worse things than going on an adventure later in life and a quartet of older, accomplished gentlemen deciding to go to Asia is cool enough by itself – but when those four accomplished gentlemen are Henry Winkler, William Shatner, Terry Bradshaw and George Foreman, it’s something else again. Better Late Than Never (NBC, Tuesdays, 10/9C) follows the quartet – and their sidekick, comedian Jeff Dye – as they visit the Far East and, yes, wackiness ensues. Here Comes The Boom: Rocky for the MMA Set! 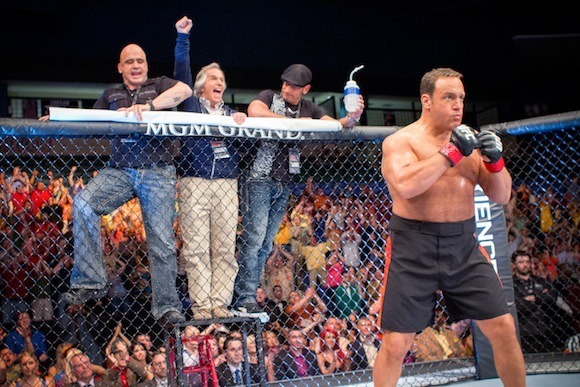 Outside of substituting mixed martial arts for boxing and adding an opposites attract romance, Here Comes The Boom really doesn’t do very much that’s new. And yet, it works! 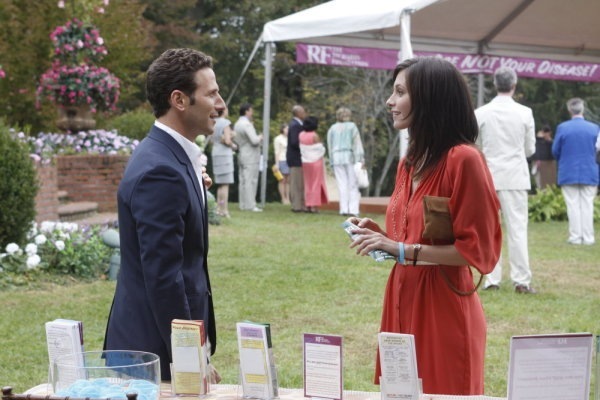 Big Decisions Bring Season Two Of Royal Pains To A Satisfying Conclusion! The second half of Royal Pains [USA, Thursday, 9/8C] has brought big changes into the lives of HankMed’s little family. Hank [Mark Feuerstein] has re-connected with Jill [Jill Flint]; Evan [Paulo Costanzo] has found the love of his life in Paige [Brooke D’Orsay ]; Divya [Reshma Shetty] and Raj’s [Rupak Ginn] wedding is almost upon them, and Eddie [Henry Winkler] is facing the possibility of going to prison. In the second season finale, Listen to the Music, everything comes to a head. 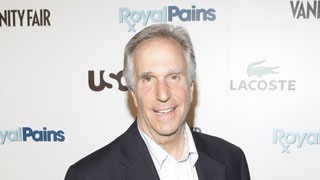 Royal Pains’ Henry Winkler Opens Up About Eddie Lawson, Differently Learning, And… MacGyver?!? Henry Winkler may always be best remembered for playing The Fonz, but he has had some other great roles since then. The latest is Eddie Lawson, the deadbeat dad returned to the fold on Royal Pains [USA Network, Thursdays, 9/8C]. He has taken this affable con man/grifter and turned him in a fully realized character – and added new layers of depth to the series. I had the opportunity to take part in a teleconference call with Winkler on Tuesday and found him to be a very articulate and enthusiastic gentleman who has not only overcome a learning disability to succeed beyond his wildest dreams, but has taken the time to helps other who learn differently. Royal Pains’ Mark Feuerstein Talks all Things HankMed! With season two of Royal Pains [USA, Thursdays, 9/8C] underway, things are getting more complicated for Hank, Evan, Eddie, Divya, Jill and Boris. Recently, I took part in a conference call with Dr. Hank Lawson, himself, Mark Feuerstein. He talked about the second season in, perhaps a bit more detail than the USA Network might have liked, but in such a way as to mollify even the most cautious publicists. If you want the scoop on the complexities of the Lawsons’ familial relationships, or the ongoing chemistry between Hank and Jill, or what Divya’s situation is vis-à-vis Raj and Adam – or if you’re just looking for spoilerish teasers in general, read on. Hank and Evan Have Daddy Issues In Royal Pains’ Mid-Season Return! 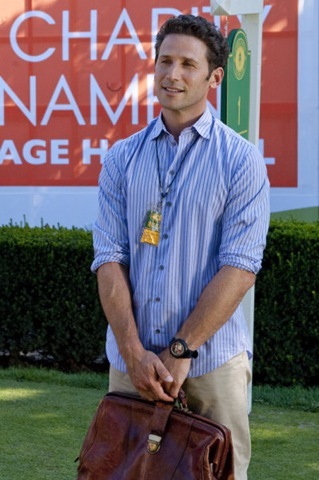 Royal Pains [USA, Thursdays, 9/8C] returns with an episode called Mulligan. No doubt you’ll be surprised when I tell you there’s a plot arc that involves golf. ROYAL PAINS is back every Thursday at 10/9c on USA Network! ROYAL PAINS stars Mark Feuerstein, Paulo Costanzo, Reshma Shetty and Jill Flint. Season Two welcomes multiple Golden Globe and Emmy winning actor Henry Winkler in a recurring role as Eddie R. Lawson, Hank and Evan’s father. Campbell Scott, Christine also return as guest stars. Marcia Gay Harden, Anastasia Griffith and Tony Plana will also guest this season. Follow Royal Pains on Twitter, Facebook, and the Official Site!